How would you know the amount of feeding milk needed and recommended to your child? Based on the World Health Organization guidelines, the milk coming from a mother is initially introduced to an infant. Considering the factor of their weight, you become aware of the amount of feeding that your baby must be taking. Using Baby Feeding Chart by Weight, parents as well as doctors are knowledgeable with it comes to feeding the right volume for baby based on their weight and age. You can also see Baby Weight Charts. Mothers who are patiently breastfeeding their babies until up to 2 years of age are evidently showing healthier babies and not prone to have diseases. In order for the parents to be guided, they can download a Chart Templates Breastfed Baby Weight Chart wherein weights indicated are ideal depending on the age of the baby and approved by World Health Organization. Feeding an infant requires a time interval this is because the organs are not fully developed and they cannot tolerate more than the amount of feeding to take. Supporting the proper feeding for baby, can lead to good weight growth and you can see changes of their weight per age based on Baby Weight Growth Chart. A Newborn Baby Weight Chart is one of the charts continuously used by professional doctors giving them a reliable number of ideal weights for newborns. With today’s technology, everyone can have this via online. The template is free for all of those who need to know the basics while taking care of the growth of the infants. You can also see Baby Weight Charts by Month. Baby Weight Chart is needed by pediatric doctors especially in explaining the growth of a baby to a parent. But parents can also have their own assessment tool, browsing at the website you can download Baby Weight Chart template that contains lists of acceptable weights for babies depending on age and height. People may need to know more a lot for babies especially if you are a newly parent or soon to become a parent. The weight of the baby is a concerned factor as he or she grows. 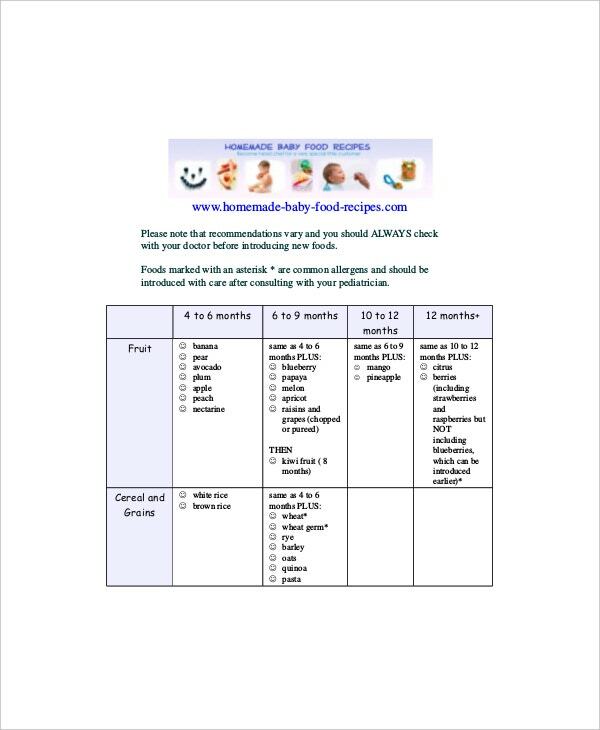 Using a chart template via online, you will see how to feed your baby based on their weight measured. 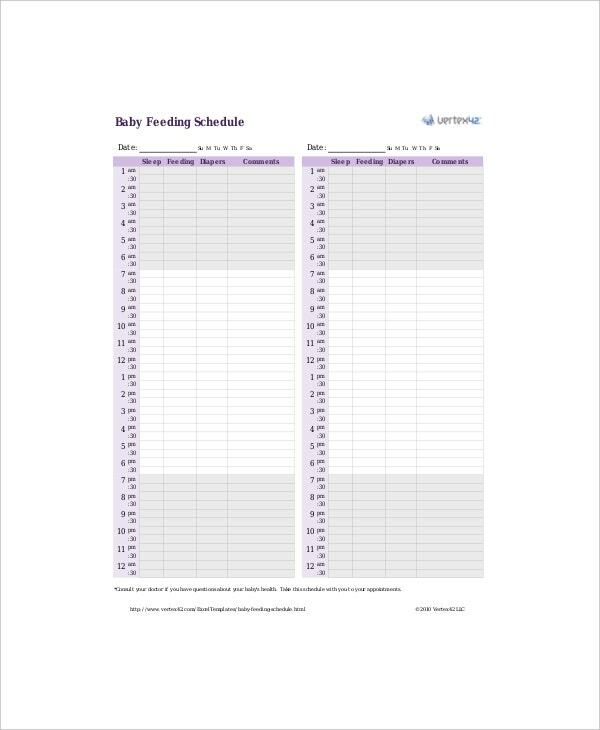 The feeding chart provides list of feeding amount depending also on the type of feed to introduce. You can also see Newborn Baby Growth Chart Templates. It’s now available online; the baby charts are created in professional manner that anyone can understand it once they see it. The purpose of having a baby chart is to have a basis in order to see if the baby is growing in the right place and recommended pathway. 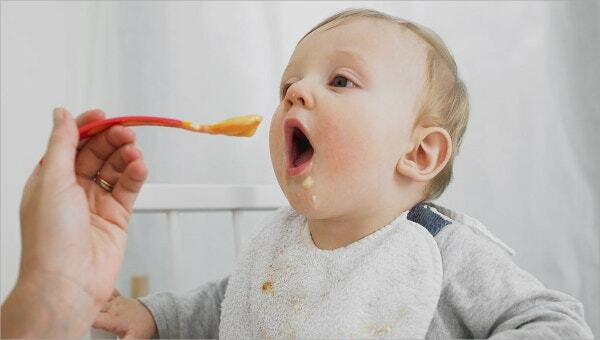 Baby feeding chart is both useful for parents and health care providers in terms of proper way of feeding infants. You can also see Baby Boy Growth Chart Templates. Creating a baby feeding chart by weight is possible without having too much effort and this is because of baby feeding chart template through online. You can also record the weight of your baby beside the feeding chart as a way of assessing if the baby is receiving the amount of feeding too much or too little. You can also see Baby Weight Gain Charts. A Baby Feeding Chart by Weight provides amount and type of feeding recommended for babies and this is under the World Health Organization. You can also see Newborn Baby Weight Charts. 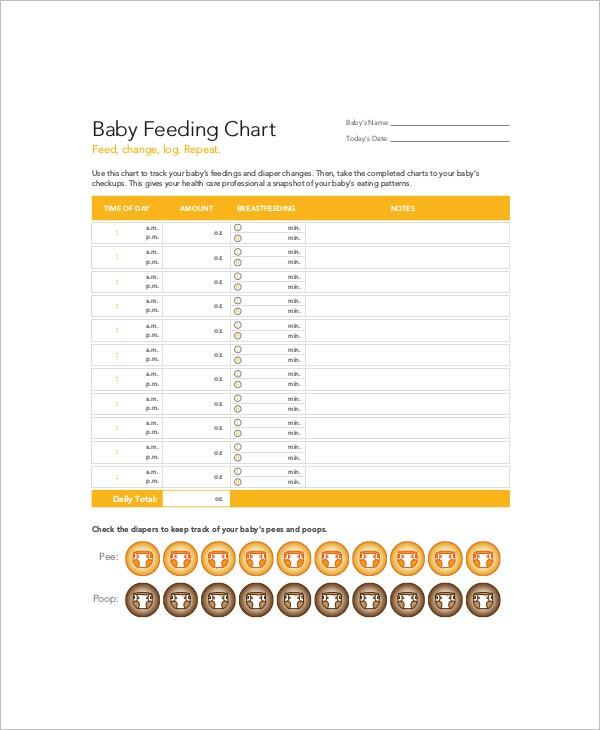 Downloading a baby chart template is very easy and accessible through online. It allows you to choose your preferred samples and examples of baby chart in terms of layout and format and thereby giving you printable creative charts.